This transcription is very true to the original composition. A virtuoso on his instrument, Spanish composer and guitarist Francisco de Asís Tárrega y Eixea (1852-1909) was known as the "Sarasate of the Guitar" and is considered the father of modern guitar performance practice. Among his most popular works for guitar, Recuerdos de la Alhambra was inspired by the Moorish palace Alhambra in Granada, Spain. 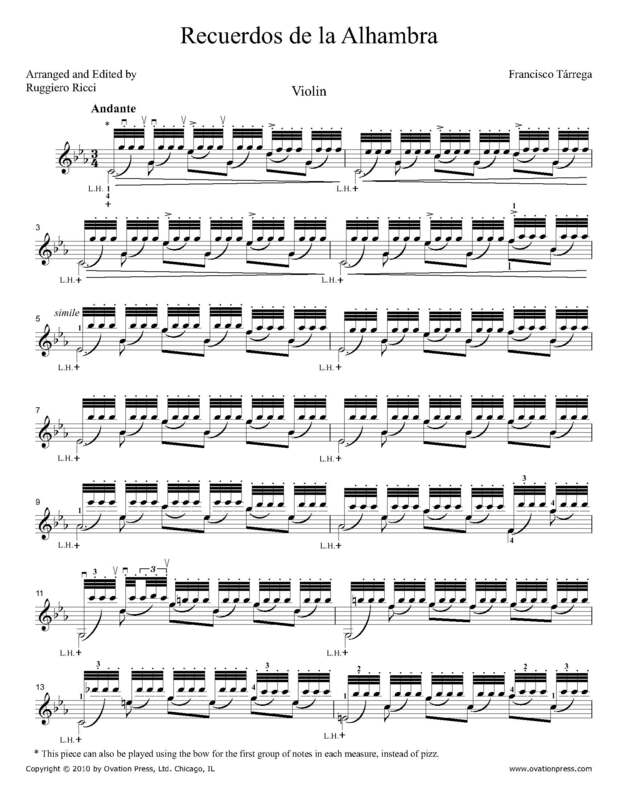 The Ricci transcription is very true to the original composition and includes the famous guitar tremolo and use of left hand Pizzicati to bring out the melodic line.